The shift from a cash-carrying to cash-less society in the UK has been incredibly rapid, with the effects of the shift to contactless increasing in the past year – there are now over 100 million contactless cards in issue in the UK and over 350 million contactless transactions were made in December 2016 alone. Although this shift to using digital transactions has been lauded by many as proof of new technological advances making our lives easier, it has also created challenges and barriers to charitable giving that charities and brands must tackle together to overcome. For many of us who don’t carry cash – or at least not in the same way we did 10 years ago – we are unable to donate our spare change to those in need as we used to do. In the Netherlands an ad agency recently released a new solution to this growing tension; a jacket, to be worn by homeless people that not only keeps them warm but also allows passers-by to donate €1 by tapping the contactless payment area. The money that is donated can then be redeemed in shelters for food, a bed and a bath, and those who donate can be sure that their donations are being used as they would wish. 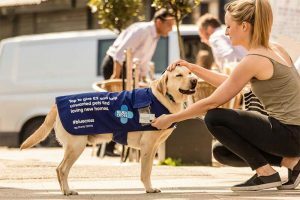 This isn’t the first foray by charities to try and encourage us to donate using our contactless cards – Cancer Research UK have trialled contactless donation terminals in central locations, and the Blue Cross attached contactless donation points to dogs to create the world’s first canine fundraisers – ‘Tap Dogs’. The move to cash-free is forcing charities to rapidly innovate, but this can be incredibly beneficial to their fundraising. The children’s charity NSPCC said that their recent trial using contactless donations set at a fixed amount of £2 actually increased their average donations, because people are less likely to donate small coin denominations. Part of the reason why contactless donations have captured people’s imaginations is due to the new kinds of interaction that they provide. Contactless technology is often criticised for diminishing human social interaction, but some charities have creatively flipped this expectation on its head. 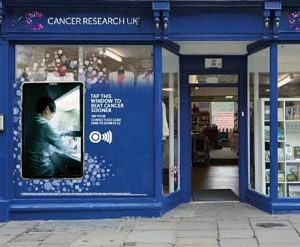 The Blue Cross have used dogs to create a human-canine interaction, but Cancer Research UK have also used contactless technology to trial new interactive window displays. When a contactless donation was given, the shop windows displayed a video showing the difference that can be made by the money given. Not only does this innovation close the gap between giving to charitable causes and seeing the effects of that donation, it is also available 24/7, and utilises the physical space on the high street that the charity already has at their disposal. 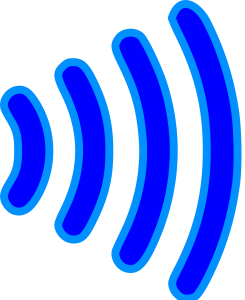 Contactless donations have also taken off because they tap into our need for everything to be on demand and instantaneous. Talking to someone in the street, filling out endless clipboard forms and having to stay involved and engaged through endless emails and letters doesn’t fit with our new, fast-paced, more demanding mode of living. By using contactless donations, charities can combat this problem of a more time-poor, less patient society, by giving supporters more autonomy over their donation. At Kantar Added Value we believe that brands should play a vital role in shifting and shaping changes in culture. We’d love to see charities partnering with other brands in this area to fully explore all innovation opportunities; people want to donate money to worthy causes, but they now expect this to fit in around their lives with as little effort and fuss as possible. Mastercard have already voiced their concerns about the growing gap between those who have access to bank accounts, and those who are cut off from the rest of society and denied opportunities because of their dependence on cash. Mastercard and other financial services brands could work to resolve this issue by backing a charity contactless campaign, such as the jacket for homeless people, to provide more credibility and confidence for those who decide to donate on the street. Alternatively supermarkets could encourage in-store charity donations by offering to round up transaction amounts, from say £6.59 to £7.00, with the extra money going straight to the customer’s charity of choice, to provide a seamless donation experience. Although the evolving digital economy offers solutions and possibilities for many, we must be careful as a society to ensure that those without access to it are not excluded entirely – and brands should play a vital part in helping to bridge this gap. Charities also need to ensure that they are not left behind by changing societal behaviours, and that they continue to innovate and explore new modes of charitable giving. We wanted to examine how technology is changing and how people use it to interact with culture. We worked with the Cultural Strategy team at Kantar Added Value and utilized cultural scoping and trends research to explore how things manifest and change in culture. For this work we used qualitative trends research, and looked at the actions of brands in the charity and financial sector to draw strong conclusions about the changing nature of charitable giving. For this piece of work we looked specifically at technology and how the most emergent and switched on charities were using this to their advantage. We now have a greater understanding of how new digital technology is shifting cultural and societal behaviors, and have developed a strong call to arms for brands to become involved in the charity sector. This research has shown how the third sector can stay abreast of but also drive cultural change, and how they can work collaboratively with brands. The research encourages charities not to see these cultural shifts as problems but opportunities to stay relevant and a part of peoples lives. ESOMAR Foundation scholarship sponsored by Inizio awarded in Georgia! Paragon Partnerships wins the MRS President’s Medal! EF webinar 28 November: How can Qualitative Research support and inform a Non-Profit organisation’s aims and objectives? Great to see Nicolin’s progress!